Can You Win at Slots? There is a new factor to consider in Las Vegas: The gambling revenue is less and less important to Hotel/Casinos, they now make more money on Shows, food and rooms. The slots are getting more and more tight as the other revenues increase. 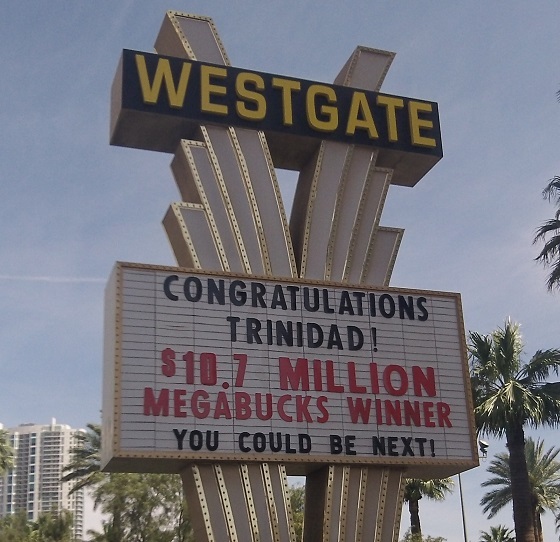 Westgate Las Vegas slot Machine pays big, more than 10.7 million. We’re thrilled that she won on our property,” said David Siegel, CEO of Westgate Resorts. Vintage Slot Machine pays off at MGM Walter and Linda Misco of Chester, N.H., were playing the one-armed bandit about 11 p.m. Friday, August 22, 2014 when three long-awaited green emblems lined up horizontally on the jackpot center pay line. A Texas woman hit a $2,832,044.74 jackpot December 28, 2012 while playing a Bombs Away Bombshells slot machine at Caesars Palace. Monica B. was playing a Money Madness MegaJackpots progressive machine. On October 26, 2013, Mellissa, from Dallas, Texas won 1.036 million playing Wheel of Fortune Double Diamond Slot Machine. In July of 2013, Seifu hit a 3.1 million jackpot playing the Wheel of Fortune at the Palms. Keep in mind that playing mega bucks and progressive machines might snag a huge jackpot, the odds are absolutely terrible that You will. 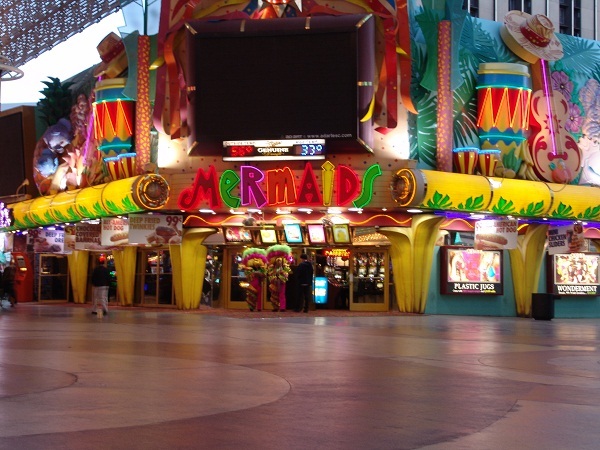 And while playing those machines the routine 100 dollar jackpots will payout far less than a single machine. Can You win at Slots? You have almost 200,000 chances in Las Vegas. At last count Las Vegas was just a couple thousand short of 200,000 slot machines. You only need one, if its a lucky one. You cannot win millions on a slot machine that isn't part of a Progressive pool of machines, meaning many machines are adding to the total every second, sometimes many in that casino and sometimes many from a group of casinos. But This isn't about winning a progressive multi million dollar payout. Its about wining at slots, hundreds or thousands of dollars at a time. 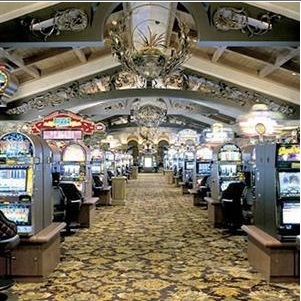 Play slots at Paris Las Vegas and feel like You are playing outside. 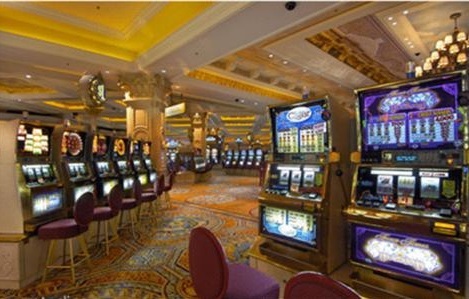 One of the most asked questions in Vegas is Can You Win at Slots? You can ask any slot director at any Casino and They all will tell You that You can and Their Casino is the best place to do so. 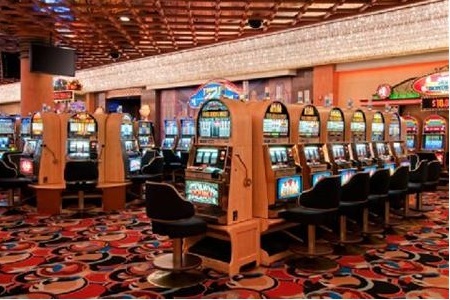 I think it is best to give You the facts behind the Slot Industry instead of the lies. 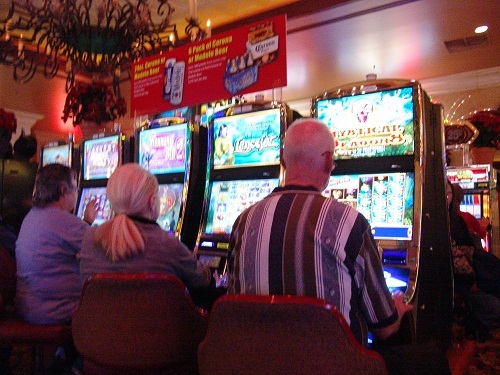 Slot machines typically pay out 88 to 98 percent. But there are some that are set to return way less for many reasons. 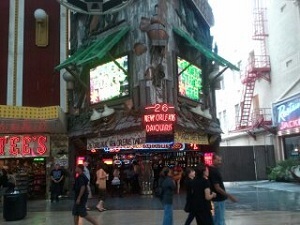 A childhood friend of mine is in His third location on the strip as the slot director. He has managed the Slots differently at each Casino and when He talks with others around Him They too have different strategies. A general rule to follow is this: A Casino that has You Trapped has no reason to have loose slots. That would be maybe a luxury Resort that doesn't have a another Casino in walking distance, a place where maybe You never leave that resort. So maybe They have a few loose machines just to get some people excited and keep you interested but overall, They will keep a higher percentage of Your money than one with competition in walking distance. 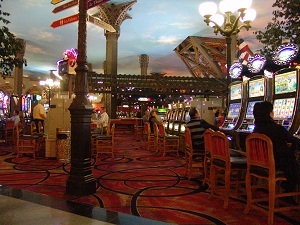 If You ask around Las Vegas to the Slot directors and customers a place that is always mentioned as having loose slots is Sunset Station in Henderson. Typically the Downtown Casinos are going to be more loose than the Luxury Casinos at Center Strip. 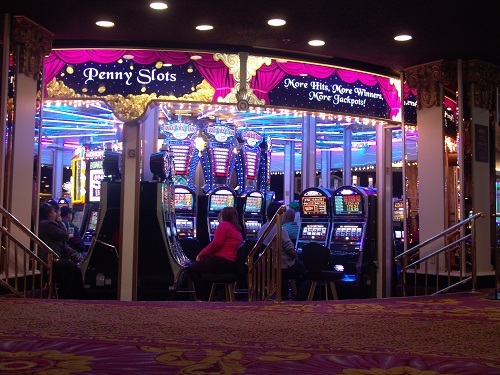 Some of the tricks used by Slot directors is to put the best paying slots on the end of a row near a major entrance. 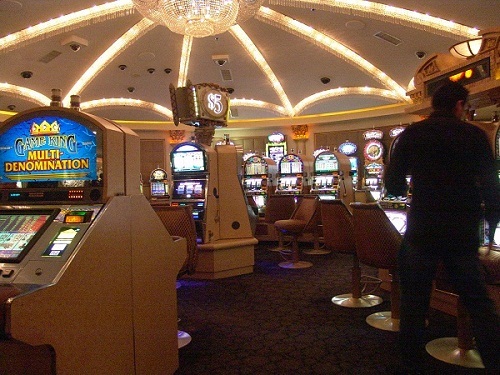 Hoping that They will get emotional players on those machines and as They win it will attract players to that same area, maybe in the middle of that row where He has His poorly paying Slot Machines. Unfortunately, its not that easy. Another Slot director has the thinking that no matter what He will get players on the outside of a row. Just like on an airplane no one wants to be stuck in the middle where people will crowd them on each side so no matter what that outside machine is most popular, so His thinking is put the loose machines in the middle and the poorly paying machines on the ends where People will play no matter what. Another thing to remember is this: Lets say there is a Huge boxing match on Saturday night at the MGM. The Casino is so crowded You have to stand behind People and wait for Them to leave to get a machine so guess what? They have no reason to have high paying slot machines so all the strategies are out the window. Remember this about the payouts in Slots: The chip on the computer board inside the slot machine controls the percentage that this machine will payout. 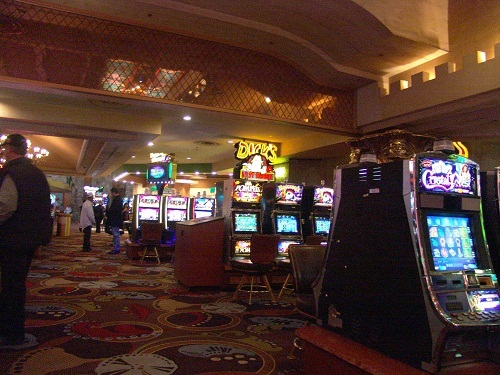 In order for a Casino to change a slot machine's percentage of payout They have to physically move that machine to another location or They take out that computer board and exchange it with another so those two machines are "swapped out". No machine is controlled by a computer in a slot director's office, The Gaming Commission will not allow that. 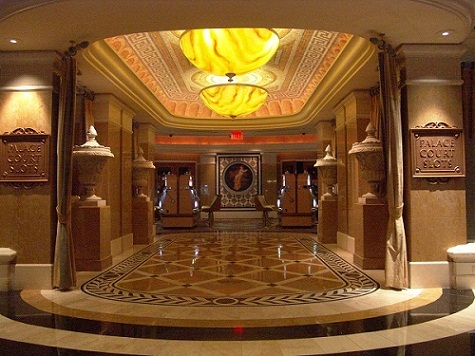 Things to think about but never are set in stone are: Luxury Casinos will not payout as well as non Luxury Casinos. So Downtown is a better option to the Strip for the most part. But there are Casinos on the strip that will give you loose slots. This group of Casinos is either super Luxury or super Trendy, either way They care nothing about Slots and really don't care if Slot players visit. These Blue Collar Casinos are more likely to have loose slots and They really want slot players. Remember, the more You play at one machine the more it matters if Your payout is 50 or 98 percent. A machine that is set for 70 percent can payout two times in a row and not pay again for the rest of the day. So in the end its still all about luck. But if You like to play for hours and hours its best that You at least make Your odds to win a little more in Your favor. The longer You play one machine the more likely You will get that machine's intended payout percentage. The worst paying slots machines in the world are at the Airport. 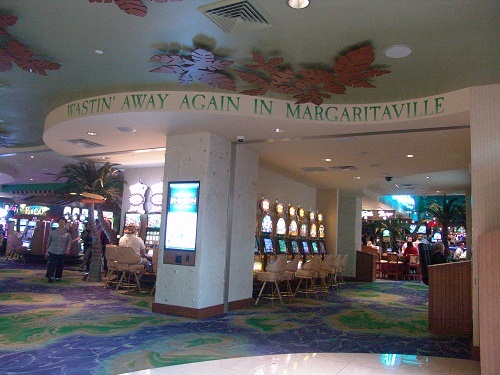 Slot players know that but they have to get a few more spins in before boarding their flight. I have even seen People on arriving flights play 10 minutes on the airport slots knowing their bags will not be immediately ready. That's addiction. But on the flip side of that stupidity, even airport slot machines have to payout occasionally but the odds are very much in favor of the airport NOT YOU! UPDATE: A Person won 933,080 at the Las Vegas Airport playing Wheel of Fortune, March 2016. So is it stupid to play at the Airport? It's never stupid if You win, right? Casinos give perks like free food, drinks or even rooms to slot players at a much faster rate than they do for gamblers that prefer table games like blackjack, craps or roulette. And Sports betting is the lowest return for perks of all gambling. If You checkout one of the special rooms that are only available to top ranked players You will probably see that it is full of slot players. So like all gambling, never, ever play without using your players card. Above, players are getting some last minute slot play in before boarding their flights at the Las Vegas Airport. On April 25, 2017 a jackpot was hit at Monte Carlo for 725,000 and one month prior on the same Wheel of Fortune Machine a jackpot of 585, 000 was hit. Never think that because a Jackpot is hit that it cannot hit again on the same machine. 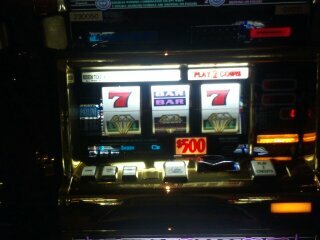 Silver Sevens (former Terribles) has serious slots players, watch how People compete for machines. 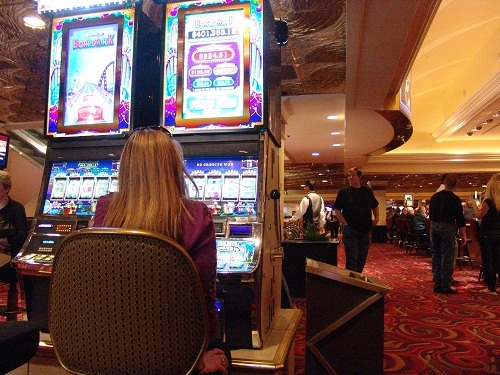 Harrah's is known for great payouts and good space between machines.